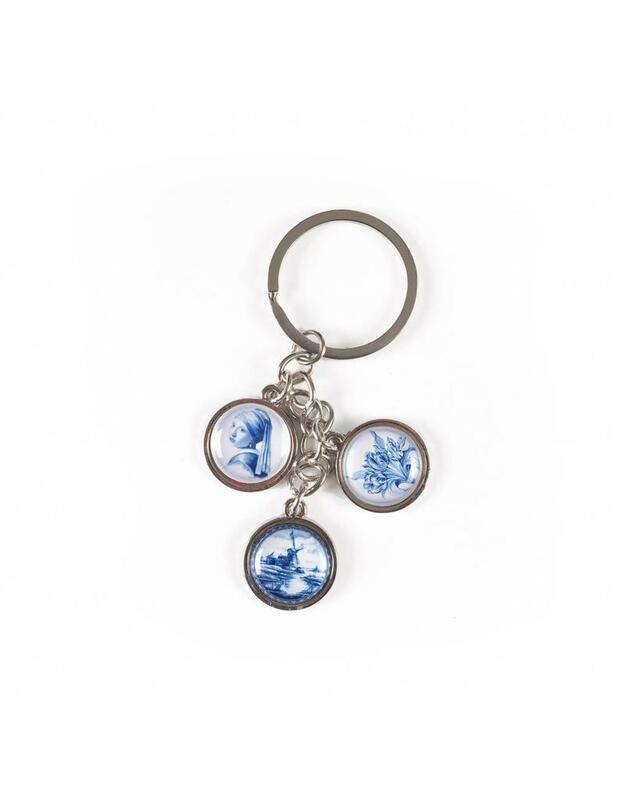 Keychain of the Mauritshuis. 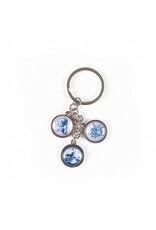 Delft blue charms with typical Dutch scenes on the key chain. 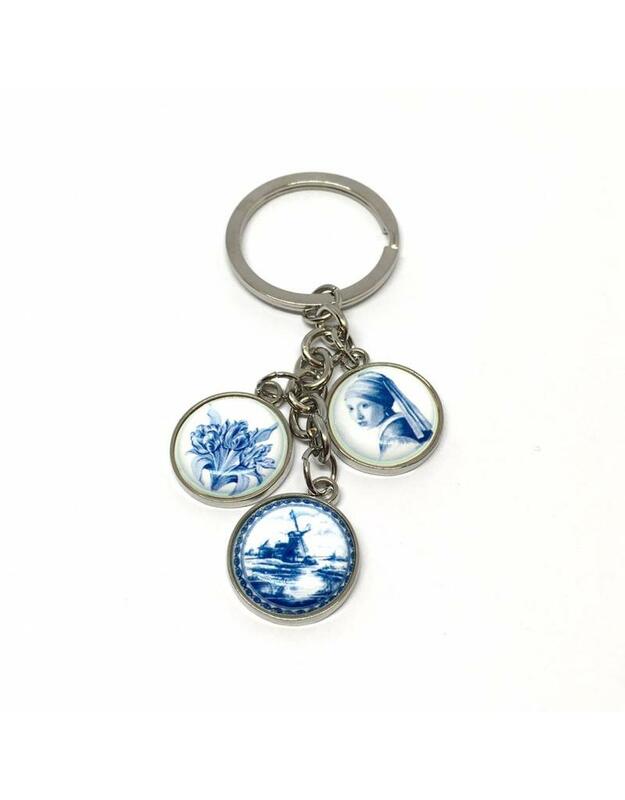 Picture of Vermeer, Girl with a Pearl Earring, a bunch of tulips and a windmill.